The iconic seventies game show, The Generation Game, is set to return to BBC and is looking for competitive families to take part. The BBC One show will see pairs of family members across generations battle it out in a series of performance and task based games in a bid to take home prizes. The revamped show will feature aspects of the original show such as the legendary conveyor belt with all new games and challenges. It's set to have some fresh faces presenting too, with former Great British Bake Off hosts, Sue Perkins and Mel Giedroyc, to present. Family members will only find out they’re playing when Mel and Sue pick them from their seats, meaning there’s no time to practice or know what the tasks will be. So if you think your nan’s got what it takes or your uncle is the most competitive, apply now to be on the all new Generation Game. Contestants must be aged 18 and over by 01 October 2017 and applications must have a generation age gap between them. To apply visit www.bbc.co.uk/showsandtours/takepart/gengame and fill out the online application form or write to The Generation Game, Broadcast Centre, BBC Media Village, 201 Wood Lane, London, W12 7TQ to request an application form. The closing date is 25 August. 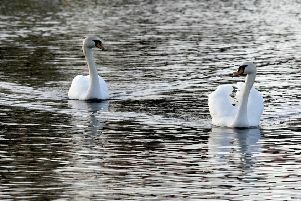 Does the waddle of this Lurgan swan remind you of a tipsy mate? Check out the PSNI video?